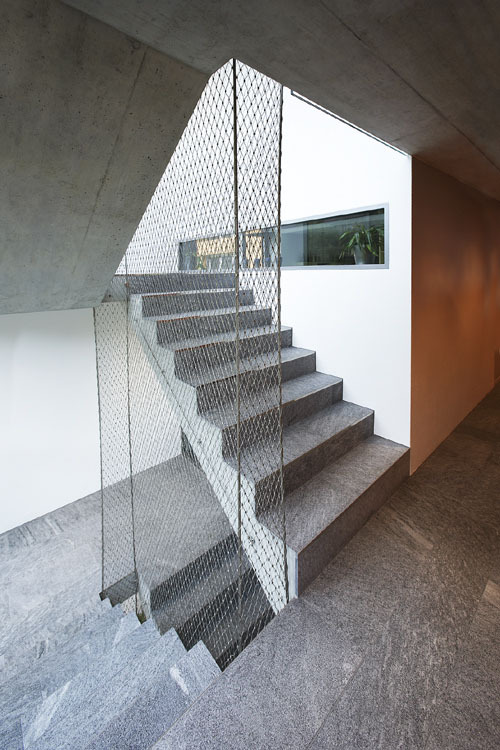 For this domestic residence in Germany the balustrade comprises a volume of Jakob Webnet tensile mesh. 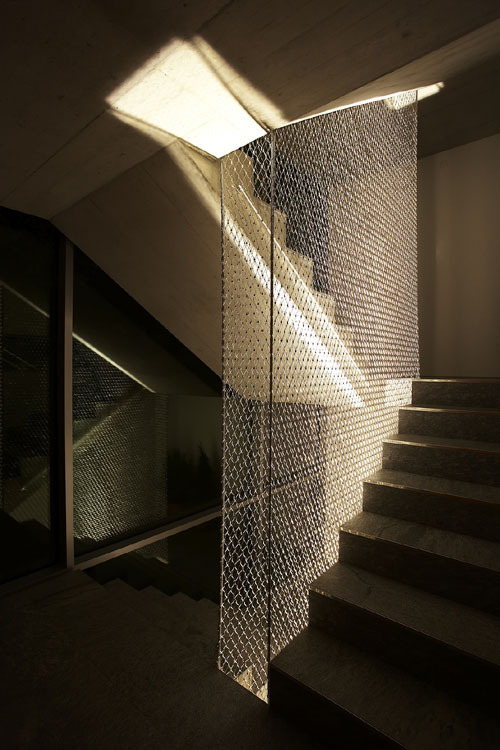 Fullfilling more than just the functional requriments the mesh has become an object defining the stairwell as a space all of its own. 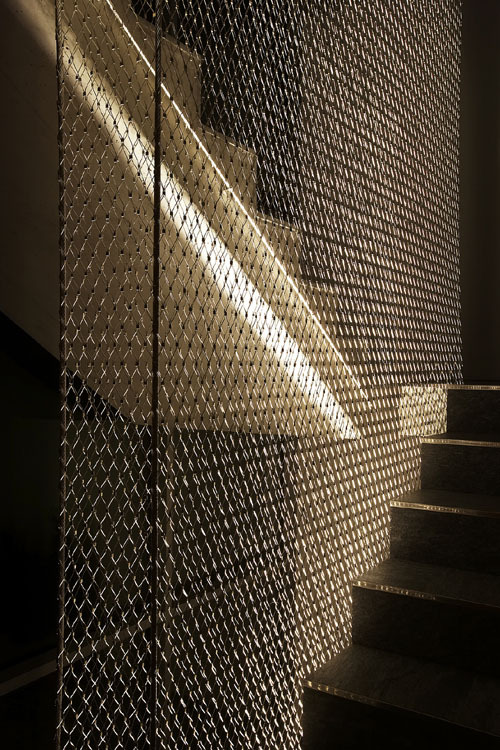 The mesh is used in a continual piece spanning the 4 stories with cable guides located in the corners and tied back at each slab level they pass. 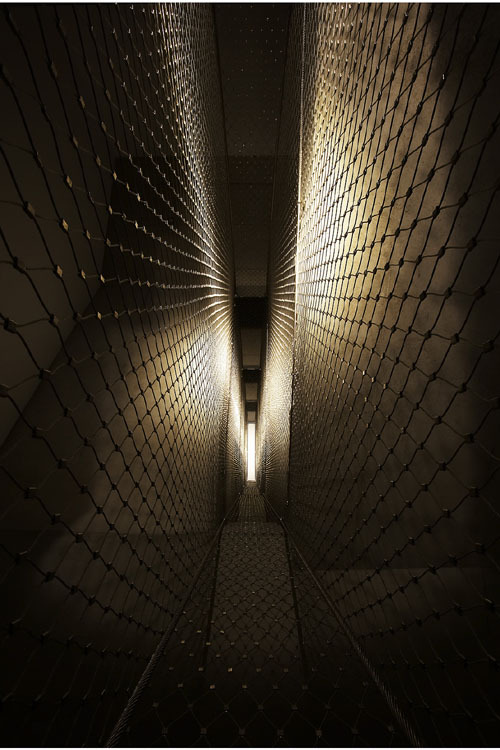 The cables and mesh both anchor to larger tube sections at the ends to provide the necessary structural support. 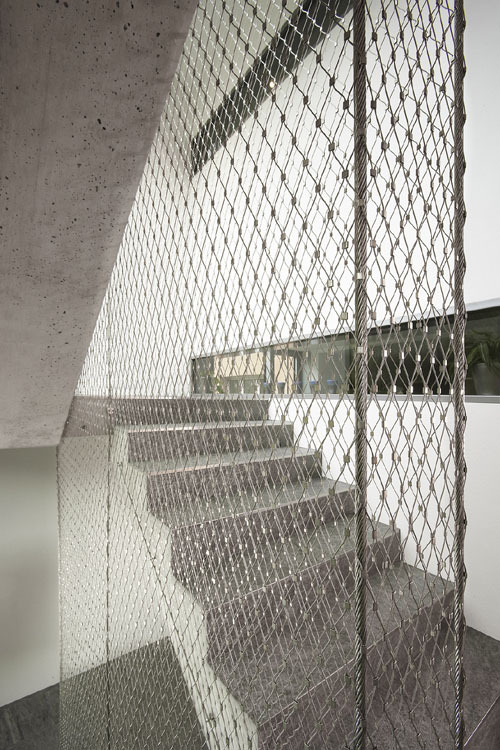 Used in this way the Webnet’s versatility and strength are clearly on show, this juxtaposition of characteristics make the tensile mesh a one of guide material. 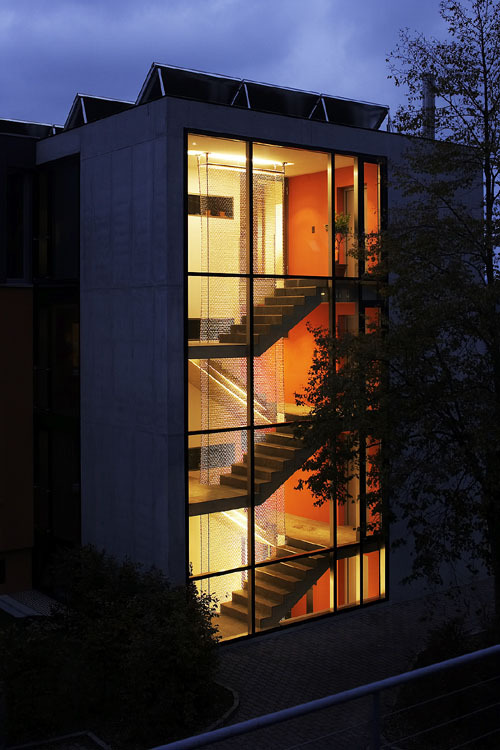 In this installation Jakob and the architect have achieved a light filled void that connects the house vertically with a lightweight simple solution.